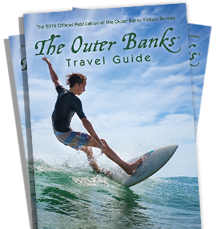 We are central to all North Carolina’s Outer Banks attractions. We proudly offer you a friendly staff, and clean well-maintained rooms that exceed most other Outer Banks hotels. And of course our location is key! Quality Inn Carolina Oceanfront is really right in the heart of everything you want to do on your Outer Banks vacation. Golfing, jet ski rentals, outlet shops, and the many wonderful and unique Outer Banks restaurants and nightlife.